The Furness Railway is located in Barrow in Furness, 3.1 km from Furness Abbey. 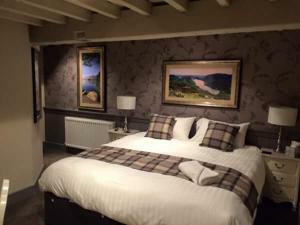 Each room at this hotel is air conditioned and comes with a flat-scre..
Tarn Close Cottage is a holiday home situated in Ulverston, 900 metres from Laurel & Hardy Museum. The kitchen features an oven and there is a privat..
Abbey Apartments offers accommodation in the central conservation area of Barrow-in-Furness Furness. The property is located within 200 metres of the ..
Offering a restaurant, Premier Inn Barrow In Furness is located next to the Dock Museum in Barrow in Furness, just a 2-minute walk from a selection of.. 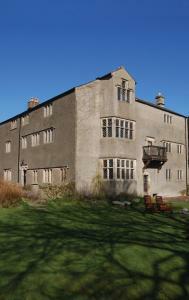 Featuring free WiFi, Newbiggin Hall is located in Ulverston, 2.2 km from Laurel & Hardy Museum. Free private parking is available on site. 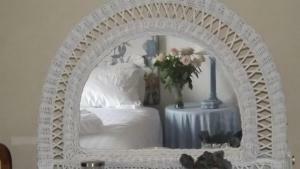 You will f..
Vickers Cottage offers pet-friendly accommodation in Vickerstown, 35 km from Blackpool. 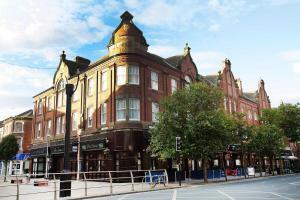 The property features views of the city and is 37 km from Wind..
Barrow Lodge Hotel offers accommodation in Barrow in Furness. All rooms are fitted with a flat-screen TV, coffee and tea making facilities. Each room.. Situated in Bootle in the Cumbria Region, this holiday home is 32 km from Windermere. The unit is 39 km from Keswick. There is a dining area and a ki..
Storey House is located in Barrow in Furness, 3.4 km from Furness Abbey and 7 km from Lake Cruises. All rooms include a TV. You will find a kettle in..
Albert House is located in Barrow in Furness, 3.4 km from Furness Abbey and 7 km from Lake Cruises. All rooms have a flat-screen TV. You will find a .. Located in Ulverston, Swarthmoor Hall is a 16th century country house set in beautiful gardens in 130 acres of organic farmland. Free private parking ..
Springholm is a holiday home situated in Bootle in the Cumbria Region and is 32 km from Windermere. The property features views of the city and is 39 ..
Virginia House is situated in Ulverston, 200 metres from Laurel & Hardy Museum. Guests can enjoy the on-site bar. All rooms come with a TV. You will .. The modern Waterview Deluxe Apartments are set on Barrow-on-Furness’ waterfront, less than a mile from the Dock Museum and town centre. The apartmen.. 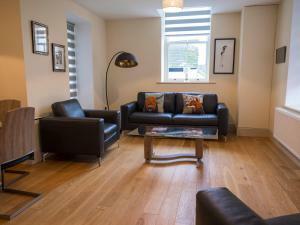 Situated in Ulverston, this holiday home is set 100 metres from Laurel & Hardy Museum. Free WiFi is provided throughout the property. 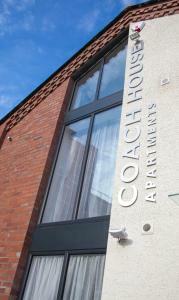 An oven and a t..
CS Serviced Apartments offers accommodation in Ulverston. Laurel & Hardy Museum is 200 metres away. The Lake District is within just 4 miles from the ..